The S in Star Trac S-TRc treadmill stands for simple, solution or smart. The S-series treadmills are designed to deliver quality and value to set them apart from other treadmills in the industry. 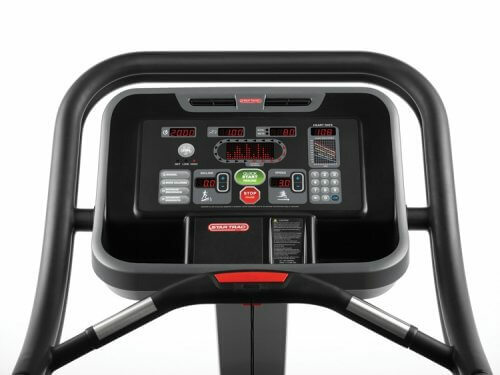 Though it is considered the low-end model of the Star Trac line of treadmills, the S-TRc machine is built to provide high quality and superior performance. Some of the features it boasts include 5 HP motor, pre-lubricated belt and deck system, personal cooling fans, user-friendly consoles, and many more! Is Star Trac S-TRc Treadmill for You? 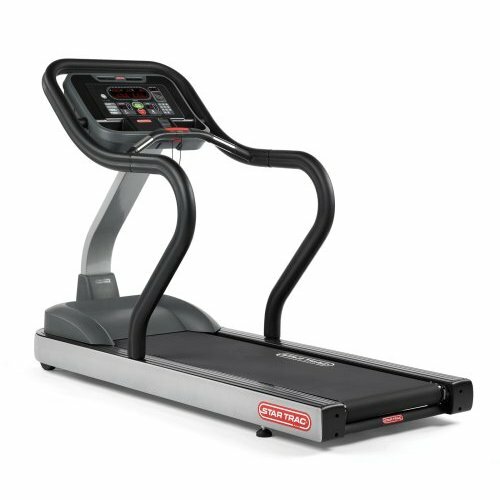 If you are a serious, enthusiastic runner who wants to invest in a really good and technologically advanced treadmill, get the Star Trac S-TRc treadmill. I already consider this a commercial treadmill built to be use for light commercial settings so expect it to cost more than your average treadmill. If price is not an issue for you, then you can't go wrong with this treadmill. Costing around $6,000, expect to get superior performance and advanced features from the Star Trac S-TRc treadmill. Specifically built to provide solid, high-quality operation and performance, this machine utilizes a commanding 5 horsepower AC motor to power many modern features built in the machine such as easy programming options, personal cooling fans, and an advanced exercise console. It provides almost twice the power of your typical treadmill, allowing rigorous and extensive cardio workouts. The treadmill is programmed with a speed range of 0.5 to 12.5 miles per hour, while the incline ranges from 0 to 15 percent, giving you enough flexibility whether you’re doing simply a leisurely walk or an extensive run. Moreover, you can choose from the 13 workout programs programmed in the machine to reduce repetitiveness in your exercise. Sweating from your high-intensity workout? Cool down with two personal cooling fans built in the machine. Designed with adjustable speed settings and located right in the console, it won’t distract you to use the fans while working out. For extra safety measures, the treadmill also features rubber-coated handrails that are easy to grip and are non-slip. The tread belt, on the other hand, is made with Soft Trac triple cell cushioning system that absorbs shock effectively, reducing impact on your joints and preventing muscle fatigue. Another cool feature of the S-TRc machine is that it is pre-wired to Star Trac’s entertainment system which is an optional feature to avail. When you get this, you also get a 15-inch LCD screen, a control panel, and a custom bracket for a more convenient viewing pleasure. Other features to look forward to include multiple cup holders, user-friendly console, and a large message window. No one can deny the fact that this treadmill is really, really costly. But that is to be expected from commercial treadmills. If you plan on buying a Star Trac S-TRc, I suggest you buy it from Amazon.com. They offer the cheapest prices around the net. Once again, if you plan on buying this machine I suggest you buy from Amazon.com. Just use the search box on the right to look for "Star Trac S-TRc Treadmill".